Caring for the Earth while carrying you in comfort. 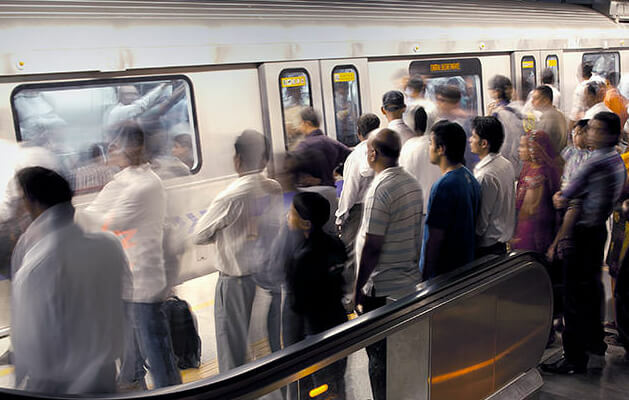 Delhi metro is the world's first urban rail system certified by the UN for reducing greenhouse gas emissions. Delhi, the capital of India, has a population of about 17 million. It was here that the Indian government came up with “Metro Project in Delhi.” India's economic growth meant more cars, chronic traffic problems and air pollution. This project was planned as one of the most important urban projects for addressing the transportation policy and urban environment. Delhi metro, which was built through the cooperation of India and Japan, helped ease traffic congestion and reduce exhaust gas and provided a comfortable train ride. Now, it is the world's leading subway with high customer satisfaction and over two million riders a day. It has been influencing other urban projects as a world-class success story. 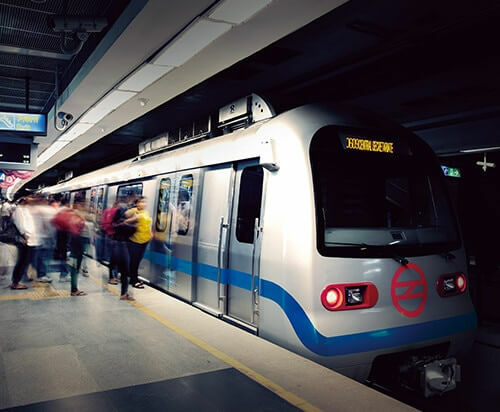 Following the first and second phase of “Metro Project in Delhi,” Mitsubishi Electric received orders for electric subway equipment from Bangalore and Mumbai. Mitsubishi Electric delivered locomotive products with energy-saving technologies including electric power generating brake systems. Mitsubishi Electric has already delivered around one thousand cars to India where it is now a nationwide policy to install more subways in every city. Mitsubishi Electric's energy-saving technology “regenerative braking system” is adopted in the Delhi metro. This technology uses a subway car's motor as a generator, and converts energy to electric power during braking. This advanced railcar technology saves 30% of the energy compared to regular railcars without the system. Mitsubishi Electric has been a supplier of locomotive products since 1922, and is recognised as the only manufacturer that can supply systems for trains to “run, stop and control” efficiently.